WE REACHED OUR GOAL!! GRACIE IS GETTING HER BIKE!! THANK YOU!! 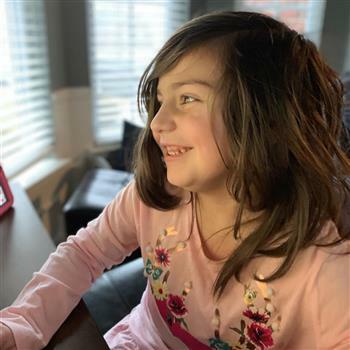 Gracie is 6 years old and has to face so many challenges everyday. 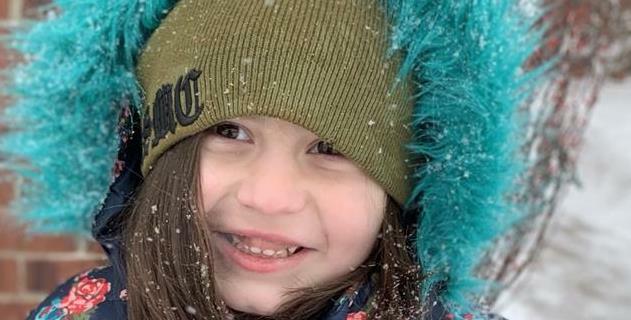 She has to work so hard for the simple things most of us take for granted but even with all she goes through she is the happiest and most amazing child. She sees the beauty in everything, she never gives up and is such an inspiration. Gracie loves to be outside and always wants be on the move but has never been able to ride a bike. We would love for her to be able to ride a bike along side her four brothers and to be able to go on family bike rides. She does not have the muscle tone, strength, skill or ability to ride a standard bike due to her hypotonia but an adaptive bike would give her the chance to experience this joy of a family bike ride. We would be able to help guide her with the parent handle and it also has a tray for her AAC communication device!! The adaptive bike will also help her to exercise and improve muscle tone and gait for walking. Gracie faces and overcomes so many daily barriers with her Autism, SPD & Oral aversions having the ability to ride a bike will give her such joy and that sense of freedom that she deserves! Gracie is unable to ride a standard bike due to her hypotonia, AsD, global developmental delays. She loves to be outside and we would love for her to have the opportunity to ride a bike along side her 4 brothers. 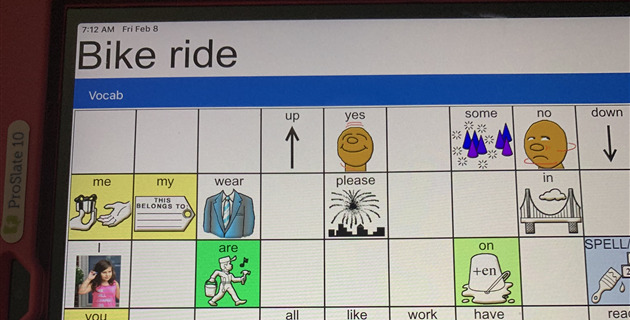 She also uses an AAC device to communicate so the tray will be perfect! Yay!! We did it!! We have reached our goal!! Gracie will be getting her bike, thank you all for you support!! I’m not sure what to say because saying thank you doesn’t seem like enough. This past summer her favorite thing to do was to go on bike rides, like 15 a day, and we would have to pull her in a bike trailer so I will never be able to express what it feels like to know that Gracie will now have the chance to ride a bike on her own. Jon and I weren’t sure that this would ever even be a possibility but this bike will not only be fun it help improve her core muscles and gait and of things couldn’t get any better it holds her AAC device! It was like it was meant to be. I’m so overwhelmed with everyone’s generosity and support, we are so blessed to have so many wonderful people that want the best for her. She is the most amazing child and to give her this experience will be beyond amazing. It has been a big year for her and I know she will continue to do amazing things!! Please know you have forever touched our hearts and we are so grateful! I literally have cried all day, I never excepted us to raise the entire amount and never dreamed it would happen in less than a day! More than anything THANK YOU for loving, supporting, praying and caring for our beautiful little girl ❤️❤️❤️❤️ Watch out for us this spring all 7 us of will be on bikes!!! Well if it’s up to Gracie we will be riding bikes as soon as it gets here! There is a tray that will hold her communication device! Be safe and have fun riding your new bike! Good luck!!!! Hope you make your goal! I hope Gracie is riding that bike real soon!